As part of National Human Trafficking Awareness Month, Michigan State Police will be educating drivers, and neighborhoods about the signs of human trafficking. Michigan State Police will be motoring highways along with the Truckers Against Trafficking Organization. 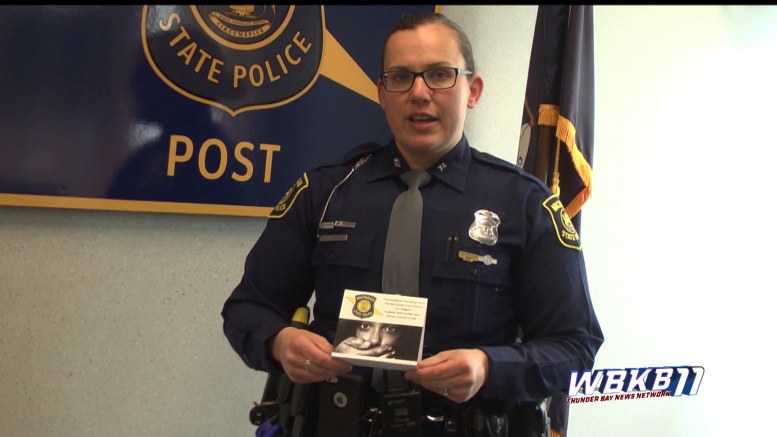 Michigan State Police at the Alpena post will also be cracking down on the issue placing human trafficking flyers throughout hotels. To report suspected human trafficking, call the National Human Trafficking Resources Center at 888–373–7888 or text “Be Free” to 233733. You can also contact local law enforcement.